3 calls resulting from previous outbounds and referrals. 5 future meetings set up by emai, beginning today, all resulting from my new outbounds. (Note: 2 people that I outbounded earlier this week checked out my LinkedIn profile. Got started in the AM with two easy outbounds – people I’ve worked with in the past. I’ve needed to schedule time with them for a couple of weeks (shame on me…). I sent emails, and both got back to me within a couple of hours scheduling calls with them this week/early next. I later had a call with a startup CEO looking for help on his sales presentation and product positioning. The more we talked, it occurred to me that he was an IDEAL candidate for Startup Selling. So that advice call for him turned into a sales call for me. Okay, call #3 in the books. Then I called an investor that replied to a LinkedIn Inmail I sent on Sunday. Not a new call by my criteria , but I did make a call. Voicemail. Then I followed with a text message to see when we might talk. No response yet. Next, I confirmed a call for today with introduction from last week. Check. That makes five, except that none of them were true “new” outbounds. and now I was stuck. Stuck doing other “stuff,” and feeling mildly depressed about it. It was almost 3:30pm and I wasn’t getting through my ten new outbounds. I hadn’t even done ONE new outbound. Worse, I had a 4:30 call scheduled, and I was dragging on energy. I grabbed a box of business cards sitting on my shelf. I had no idea want I’d find in this box – it’s been at least a year since I even thought to look. My thinking? 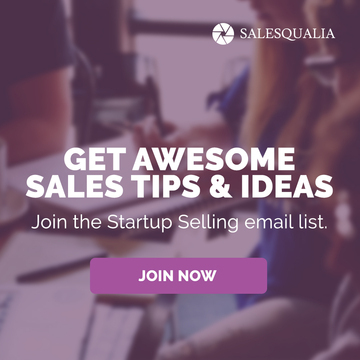 Just do something related to selling, even if that meant cold emailing people I met at some event a year ago. At least it gets me in the act of selling. Boom! Let’s go. I headed to my favorite coffee shop where the atmosphere + a double espresso = Productive Scott. I started hammering. I first emailed the former director of Venture Greenhouse, who hosted me to do a sales workshop as part of Startup Grind two years ago. I emailed a head of Fledge – an incubator program in Seattle. I met him two years ago during a visit there. I emailed a local sales executive (Dave) that I thought would know a referral or two that would be good candidates for Startup Selling. Ugh… Then it was 4:30. I still wasn’t getting to my ten, with or without a double expresso. The meeting I thought was at 4:30pm was in fact on a different day, opening a window to keep hammering. I emailed a startup CEO that’s built a marketing platform. I emailed a Salesforce executive that has a couple of side projects. Then I emailed someone I know that works at a company solving the same problem as one of his side projects. I emailed two random people I don’t remember meeting but had their business cards. Why not? Check, check, check. Then Dave got back to me and introduced me by email directly to a startup CEO friend of his. I emailed the friend, and after some back and forth right away, we’re set for a conversation on Friday. Then I received some sales manna from heaven. After proving to the universe that I was willing to push, I was rewarded with an inbound lead from my website. Best of all, the inbound lead is from a really, really interesting company in the FinTech industry – super interesting lead based on my experience over the past decade selling to banks and financial market companies. Then to wrap up the day, the marketing platform CEO got back to me. We’ll find a time to talk next week. I did my ten. Did you? 50 sales calls in 5 days. I bet you can’t do it. They don’t even need to be phone calls. Try using InMails or personalized emails. My results this week so far? Shameful. AND THIS IS WHAT I DO FOR A LIVING! 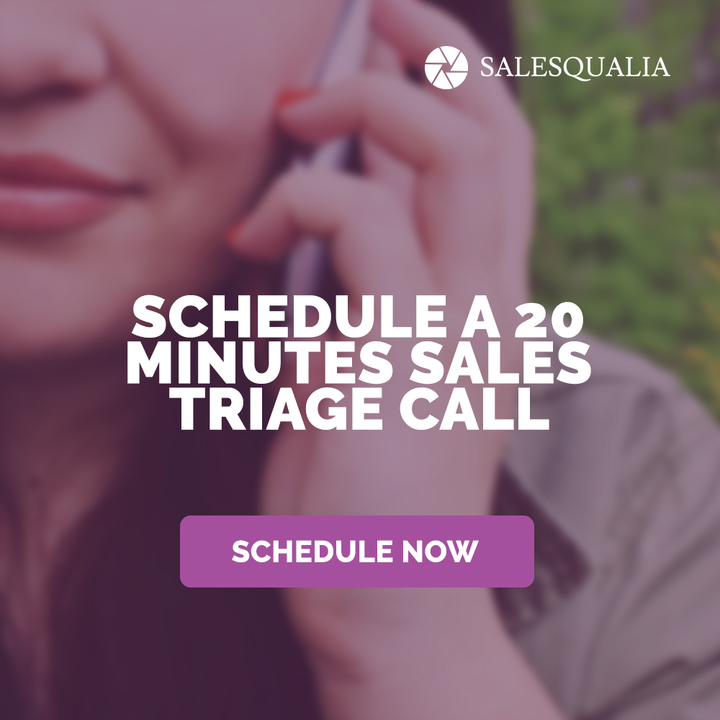 I teach startups how to build their sales process and I’m not getting to my ten sales calls a day. So embarrassing. Like every CEO, I get busy working on product. And marketing. And recruiting. And finances. And managing the company. Days ticks away like minutes. Hours tick away like seconds. I get tired, I get frustrated, I get lazy. If I get tired and frustrated and lazy, I know that you do too. It’s okay. Selling requires time and focus and concentration. You probably have ideas about the companies you think your company should target, and you probably have ideas about the people at those companies that you think are buyers. And your ideas are probably wrong. That’s exactly why you need to start selling today. Right now. Check your January forecast. What were your revenue expectations for the year? Are you on plan? Why are you falling short? Maybe deep down inside you know you could be wrong about your market and your product and your business model. Or worse, you’re so confident in your ideas that you have unknown unknowns just waiting to blow you up. And I bet this is why you’re not hitting your sales goals. When you sell, you learn stuff that you can never, ever learn building product or raising capital or tweaking code. Selling reveals the unknown unknowns – gaps in your product and gaps in your value proposition. 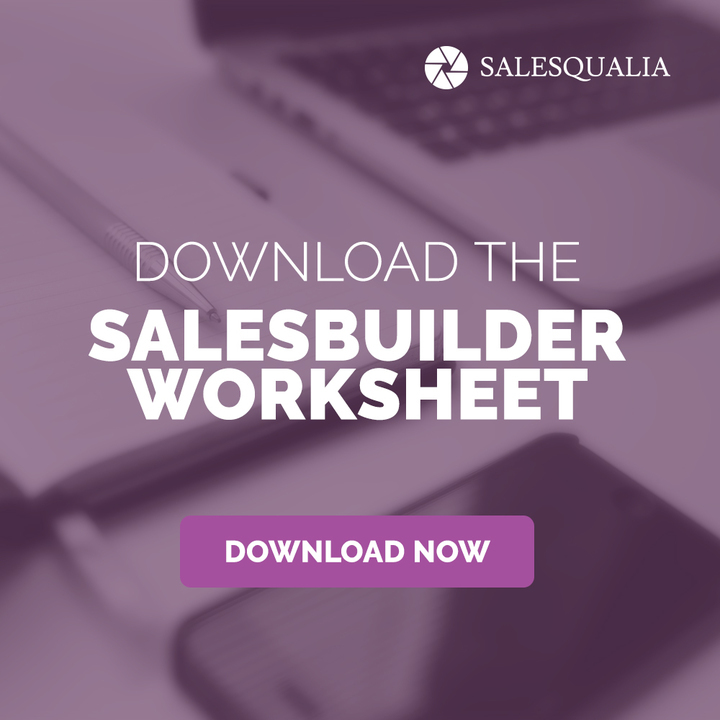 It reveals that your customer has a buying process that doesn’t match your sales process. So start selling. Today. Right now. Pick up the phone. Make one call, and then another, and then another. See if you can get to ten by the end of the day, no matter what. Heck, you might not even have 50 people on a list right now that you can call. 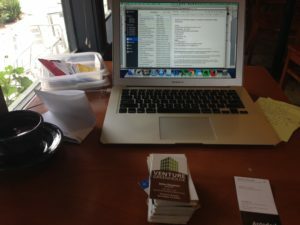 You probably have a pile of business cards from a recent conference. You probably have a few emails buried in your Sent folders that need you to try again. Start there. Whatever you do, just start.